Yes, I’m still here. It’s been a while since I blogged but I’ve been a little busy. Hubby and I bought a new house, which is always a lonnnnnnnnnnng process. Took us forever to even find the house we wanted, then an eternity to close on it and actually get moved. 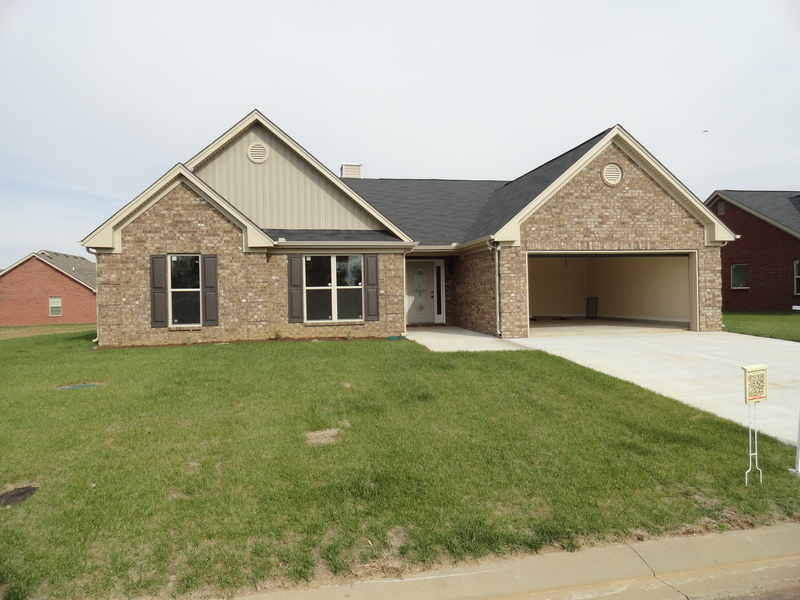 We were specifically searching for a single level home with 4 bedrooms. Doesn’t sound too awful difficult, right? Wrong. Apparently, 99% of new homes that are being built are 2 story homes. Well, what are all of these people that are buying these multiple level homes going to do when they’re 70 or 80 and have to deal with those stairs?? I, for one, don’t want to have to deal with having half of my house inaccessible because my knees or back or strength won’t allow me to even get up the stairs at some point in my life (providing I live long enough to have to deal with any of those ailments). Anyway, as I said, we finally did find the house we were looking for and I completely love it. 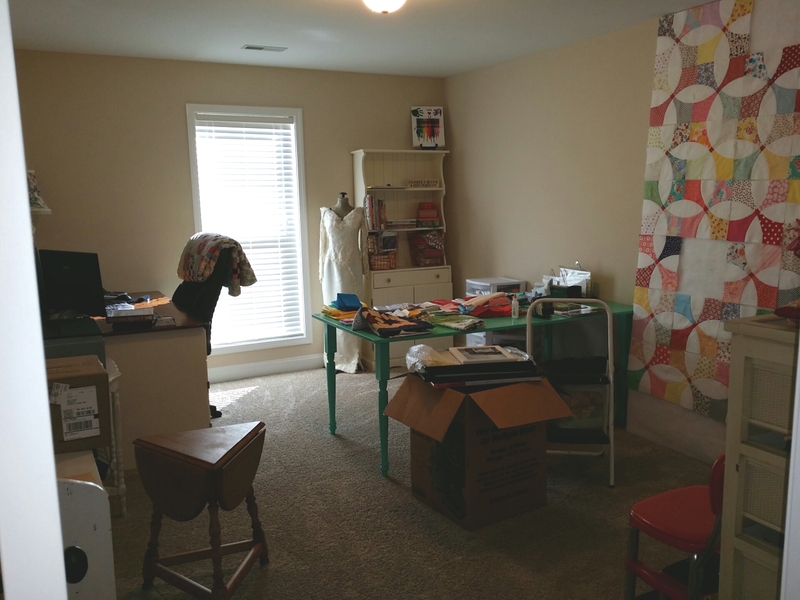 With 4 bedrooms, we have plenty of space for hubbys office, a spare room for company, the master bedroom, plus a dedicated sewing/craft room! 🙂 Unfortunately, it’s not completely put together yet so what little sewing I’ve done is still being done on the dining room table in the formal dining room, but it’s getting there so, hopefully soon I’ll be able to actually use it. I’m actually working on another flowering snowball quilt. This one is for me. 🙂 I’m making it big enough to use on my bed in the master bedroom. It’s coming along but I still have about 25 blocks to make, plus the hand quilting, so it’ll be a minute. I want to make pillow shams, throw pillows, and curtains also. Still not sure what to use to do the pillow shams with but I’ll figure that out when I get to it I suppose. 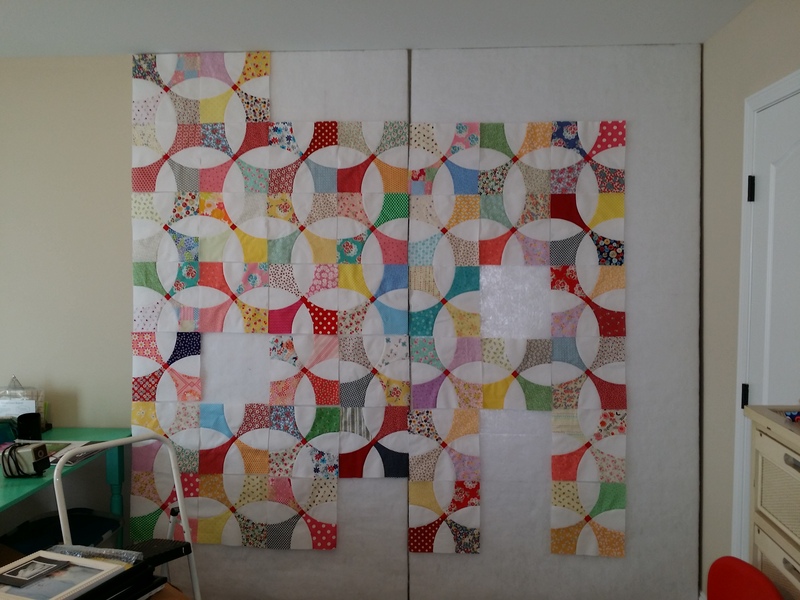 My design wall will be filled entirely when I get all of the blocks needed for this quilt done. LOTS of blocks. 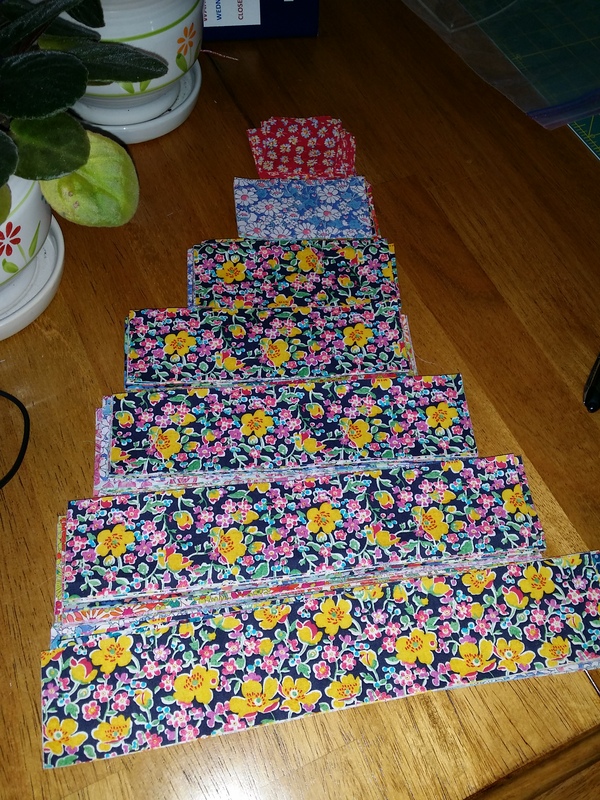 I started cutting these gorgeous Liberty Lawn fabrics this morning for a new quilt. Nothing like having a million projects going at once. 😉 I have been stashing Liberty fat eighths for a while now with no idea what to do with them until I saw this quilt that Audrie posted on her blog Blue is Bleu at http://blueisbleu.blogspot.com/ and it’s absolutely perfect, so I decided that the log cabin block was exactly what I was going to do. I ordered a Kona cotton in Iron to use with these gorgeous prints. Not sure of the layout that I’ll use yet, but just deciding on a block is a start at least so I have to thank Audrie for the inspiration she inspires with her beautiful work. So, that’s what’s been going on in my world for the last couple of months and some of what I’m working on in the next few weeks. Still lots of decorating and unpacking to do but I’m not in a huge hurry to do any of those things. I figure I have the rest of my life, so hopefully there’s plenty of time to worry about the decorating later.